Christ’s parable of the lost sheep is a familiar one to most of us. It is found in Luke 15 along with the story of the lost coin and the lost son. In each of these illustrations Christ stresses how the value of that which is lost increases in the eye of the one who is seeking it, simply because it is lost. While this may seem counterintuitive, those of us who have misplaced a set of keys or an assignment can easily identify with this response. Those who find such a reaction unjustified have the gentle reminder given to the elder son when the younger son who was lost returned home. A contemporary parallel to these stories is found among those who can be seen in the woods and plains with binoculars strapped around their necks. Birders live for these moments. 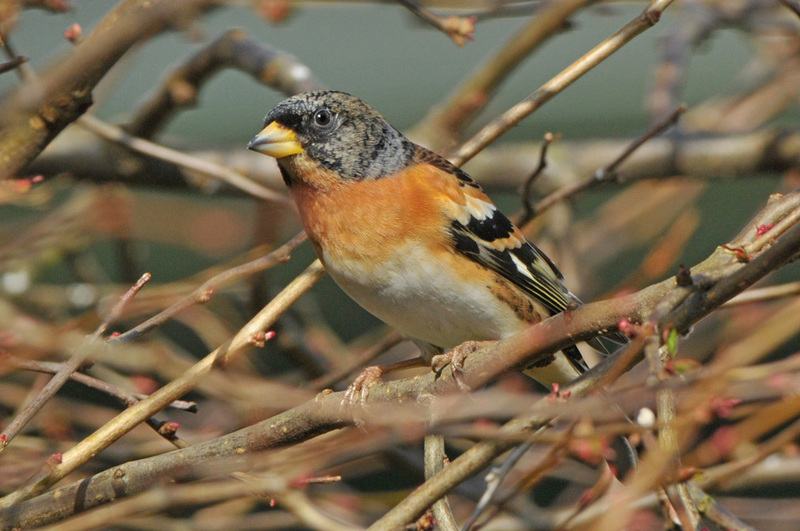 The Brambling is a common Eurasian species that nests in the forests across the northern part of Europe and Asia. Those birds that nest in Finland are likely to winter in North Africa while those that nest in Russia or China will likely spend winter in Pakistan, India, or Japan. But through the inexactness of migration, one found itself in the backyard of an urban home in British Columbia. It was lost, seriously lost. But that was what made it so attractive. Birders from miles around found themselves peering over the back fence thanks to the graciousness of the home owner who had informed the public of their visitor. Both Luke 15 and the bird at the backyard feeder serve as reminders of what lengths those interested in the lost will go to find that which has been lost. And fortunately for the lost, the One seeking us isn’t just interested in putting us on His list, but wants to have us live forever with Him.